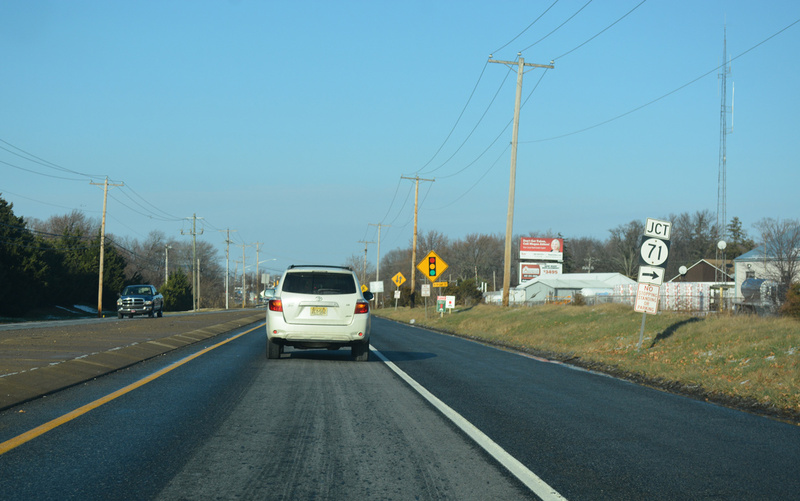 Nearly one year removed from the first ever Delaware Road Meet, I am finally getting around to updating the Delaware pages on the site with content from last December. 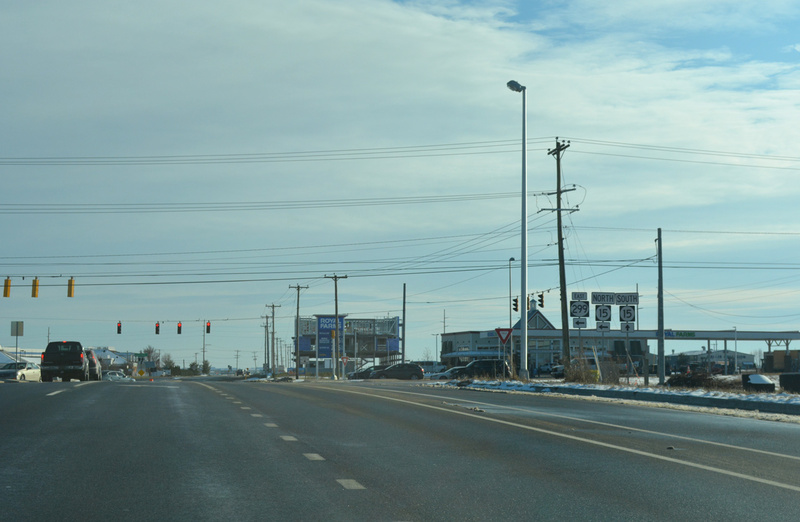 The meet took place on December 16, with 19 of us gathering at the Delaware Welcome Center Travel Plaza on Interstate 95 near Newark. 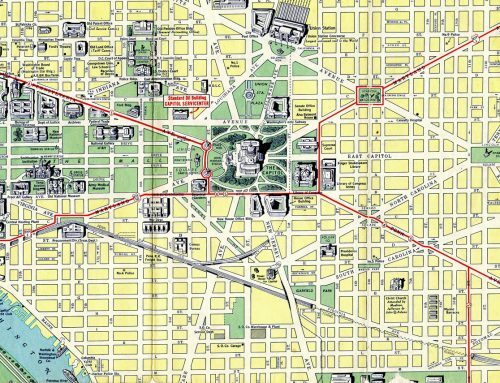 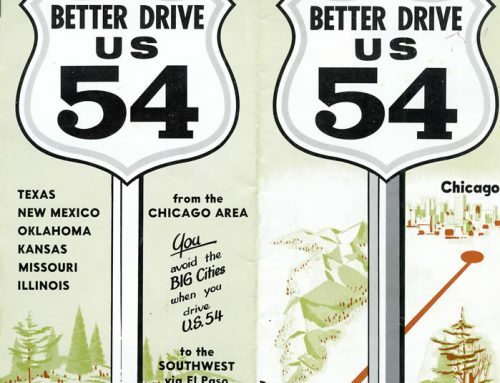 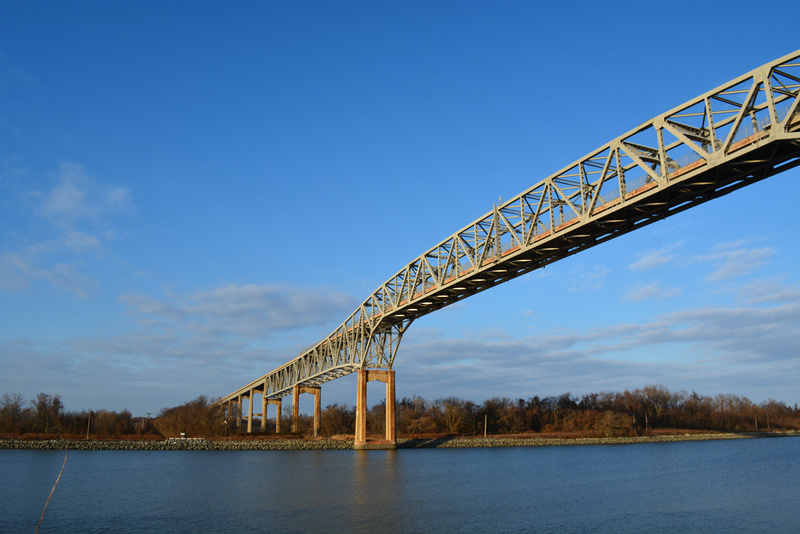 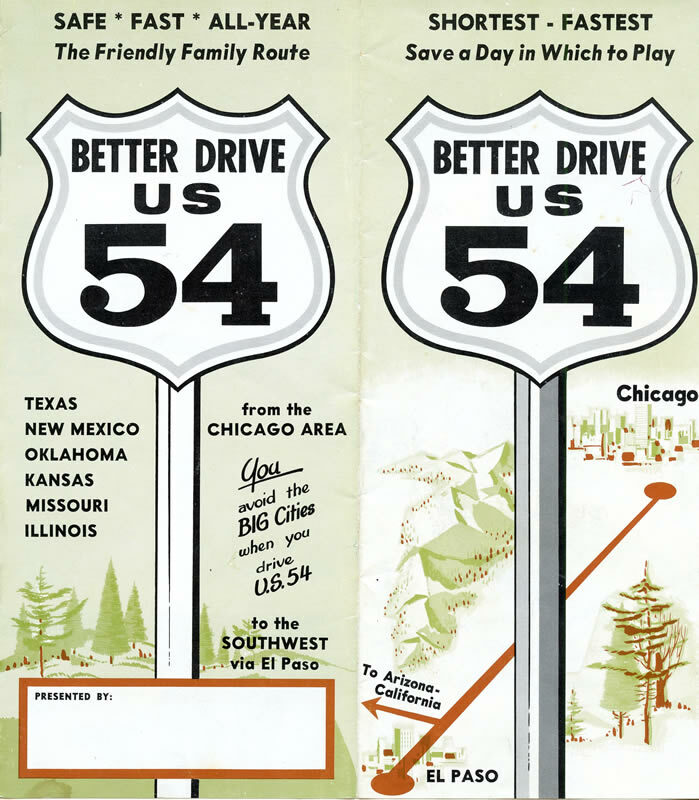 After two hours or so of commiserating, divvying out road maps, and consuming Philly cheese steaks supplied by the webmaster of Alps Roads, we piled into several vehicles and headed southward across the Chesapeake and Delaware (C & D) Canal to the first tour stop. 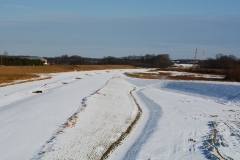 Despite a spontaneous burst of heavy snow the previous day, Brent and I scoped out several locations for the day’s meet. 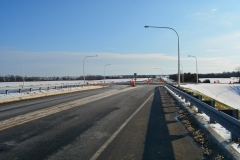 The first was at the SR 299 overpass spanning the future U.S. 301 toll road. 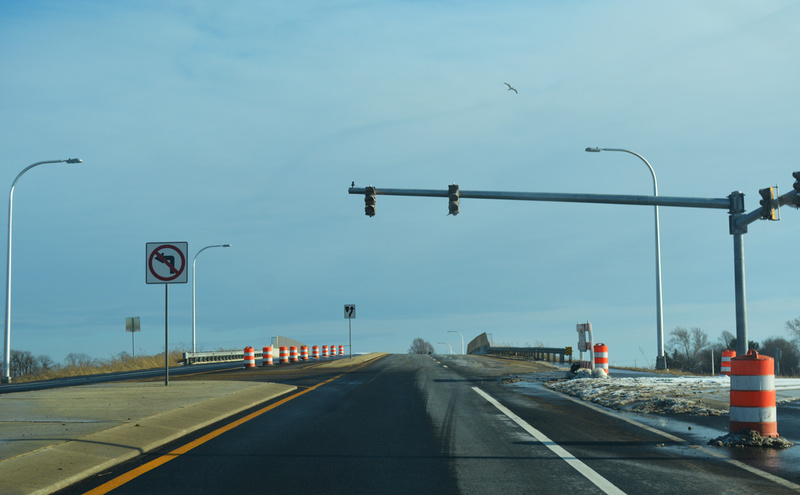 Numbered as Exit 2 on sign installations made this month, the diamond interchange connects with the realignment of SR 299 (Warwick Road) on the south side of Middletown. 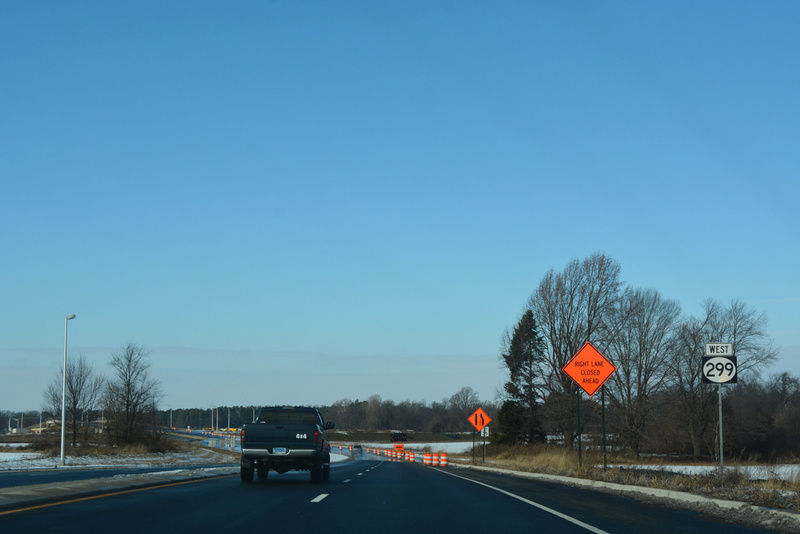 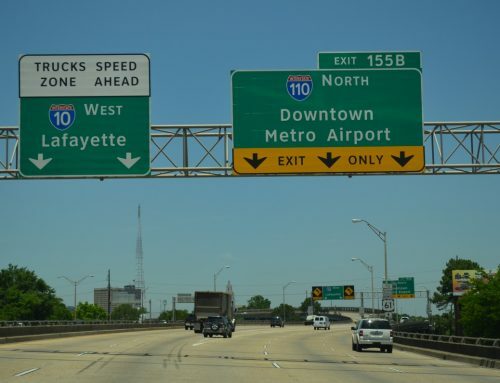 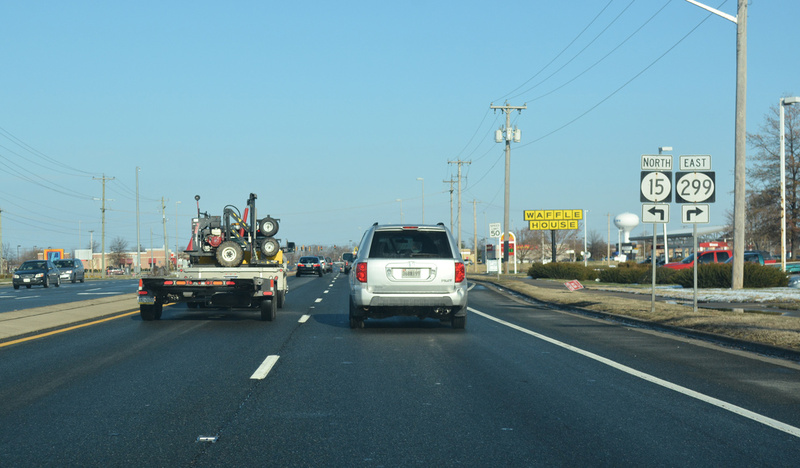 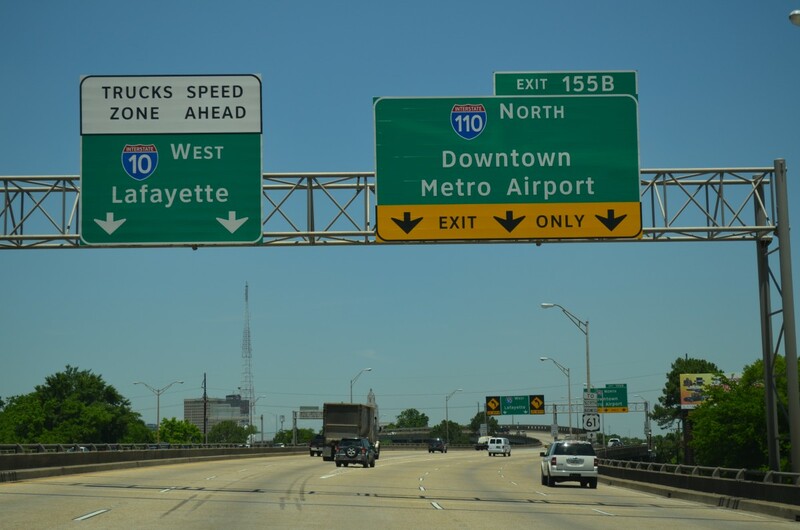 Tolls will be collected on the new expressway electronically, with E-ZPass or toll-by-plate. 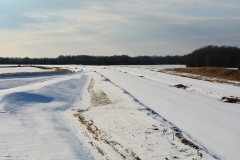 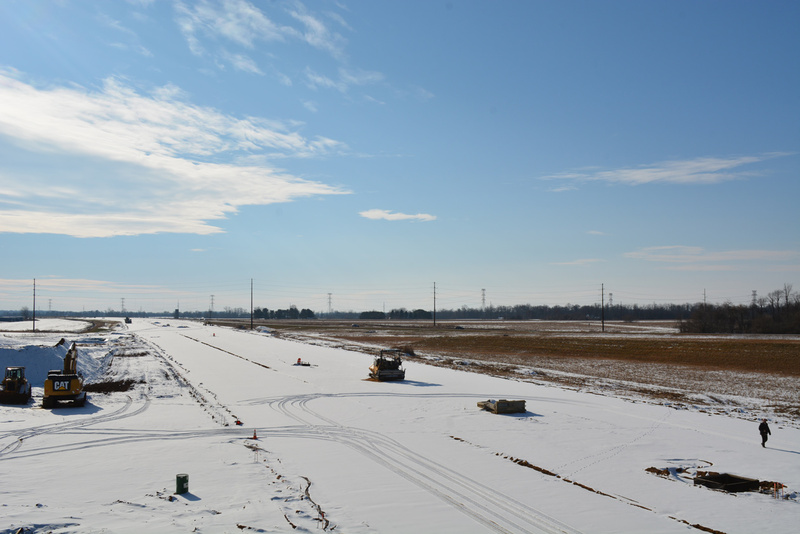 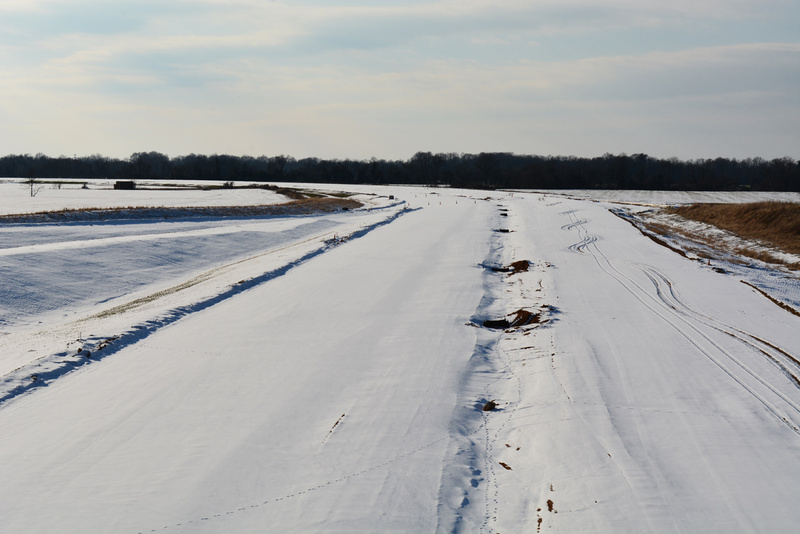 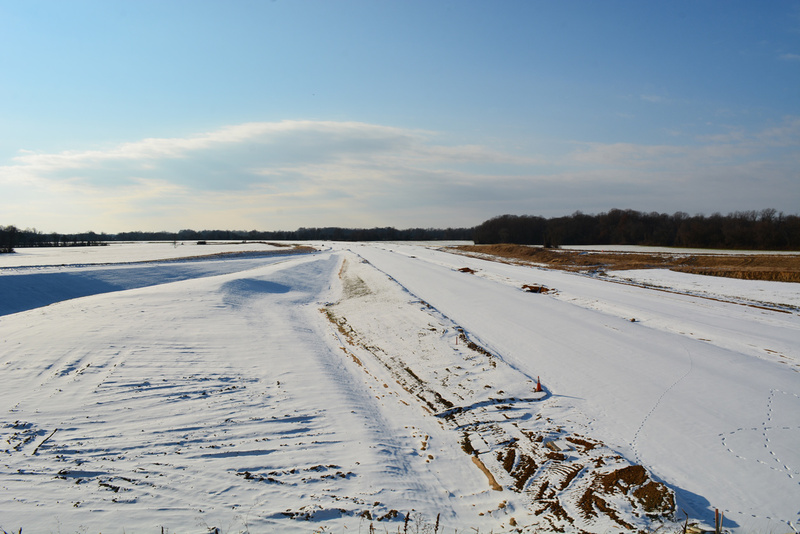 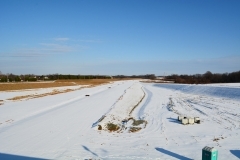 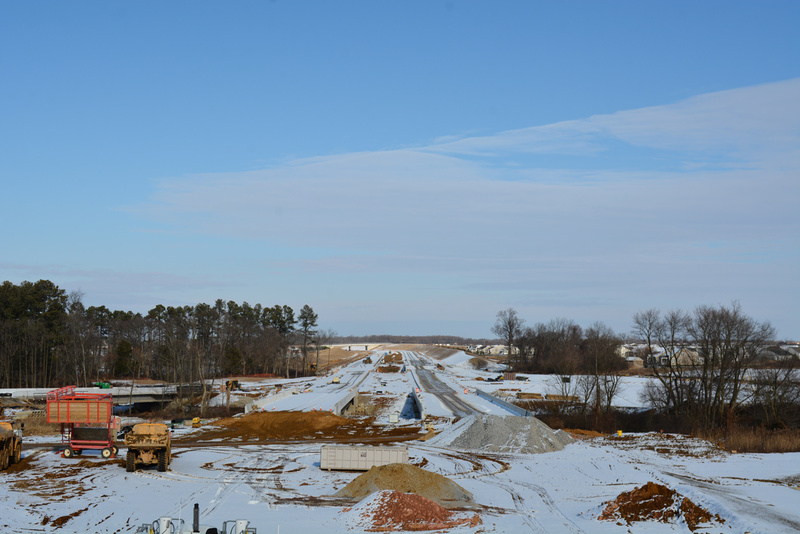 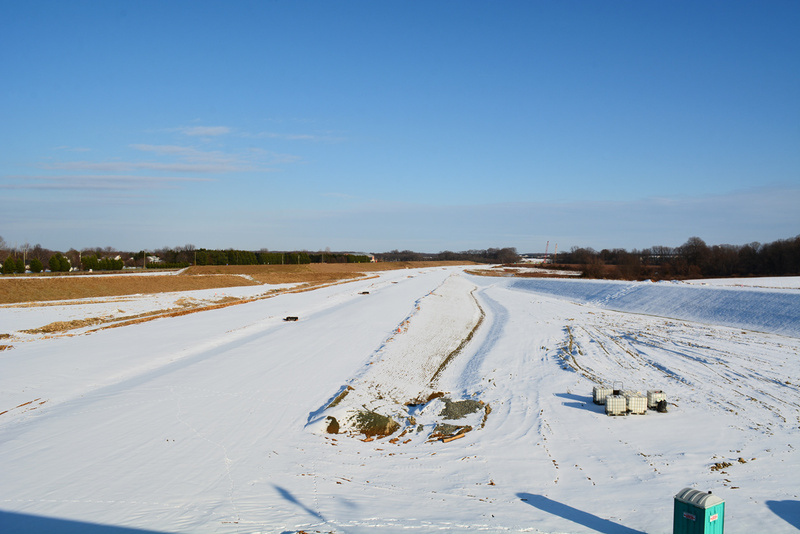 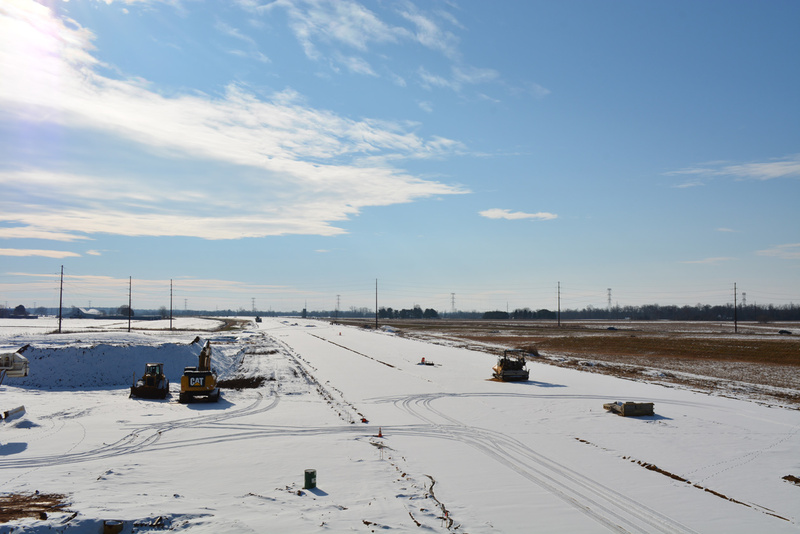 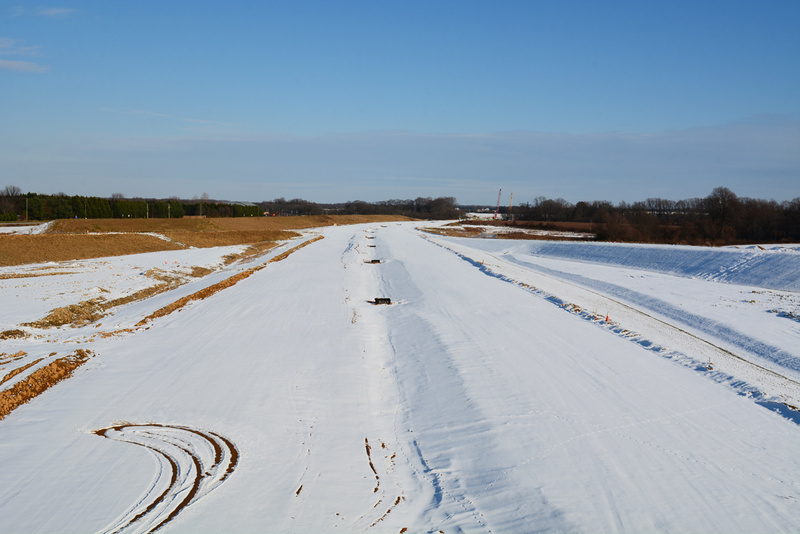 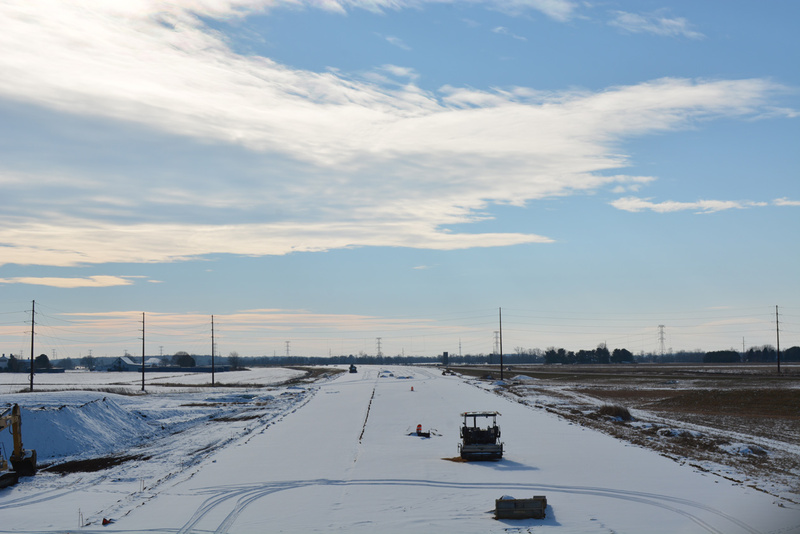 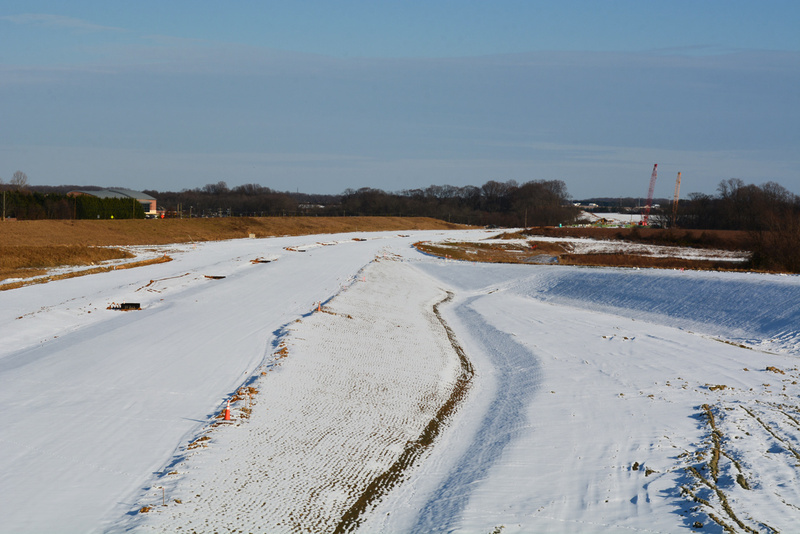 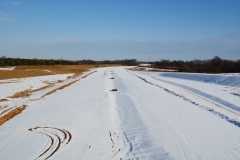 Snow blanketed the road bed of the future toll road, while snow melt was underway along paved roadways. 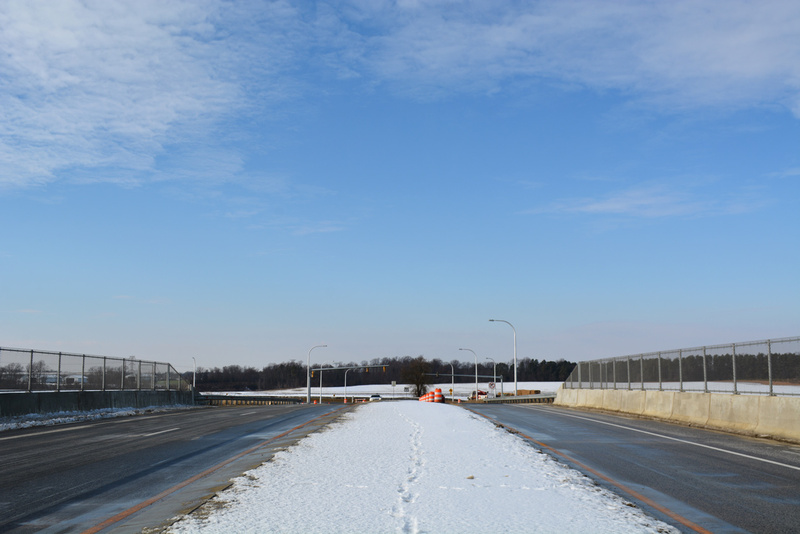 Despite sunny skies, brisk winds and cold temperatures preserved much of the snowfall from the previous day’s storm. 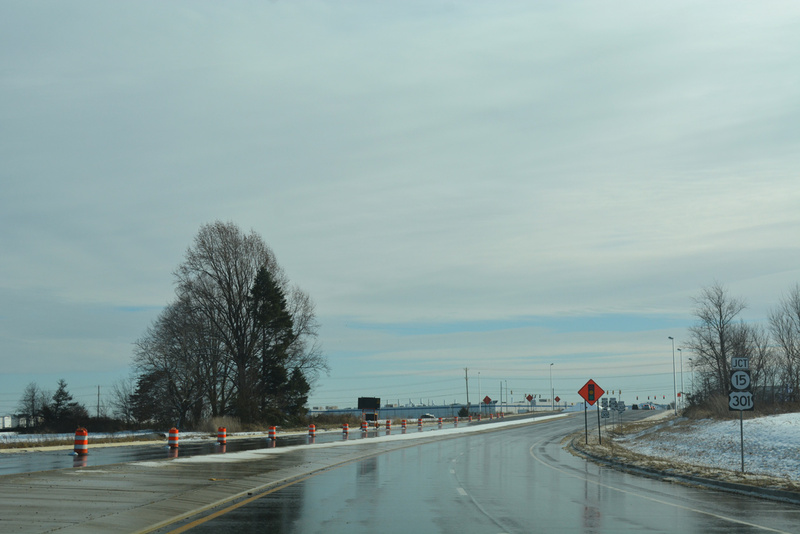 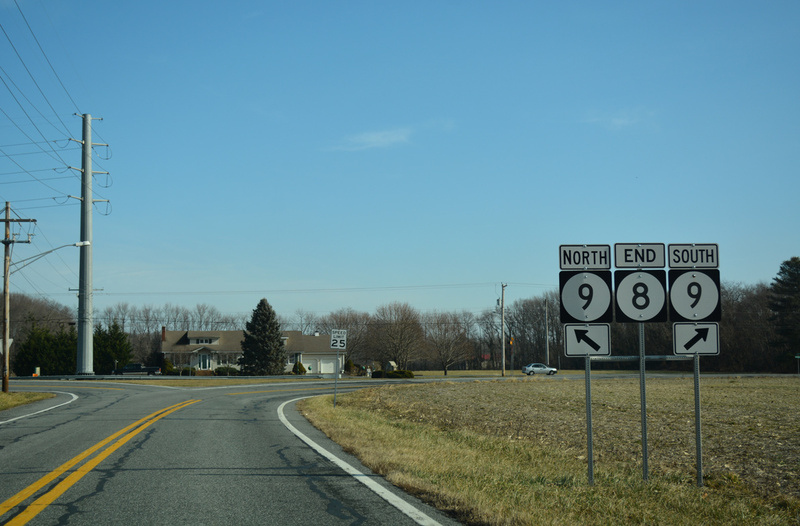 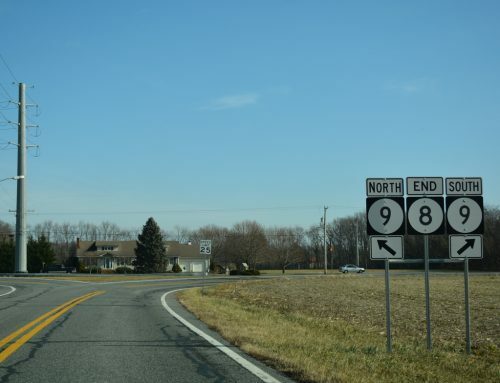 Concluding the stop, we headed northeast through Middletown, taking the soon to be former alignment of U.S. 301 along Middletown Warwick Road and Summit Bridge Road (SR 71). 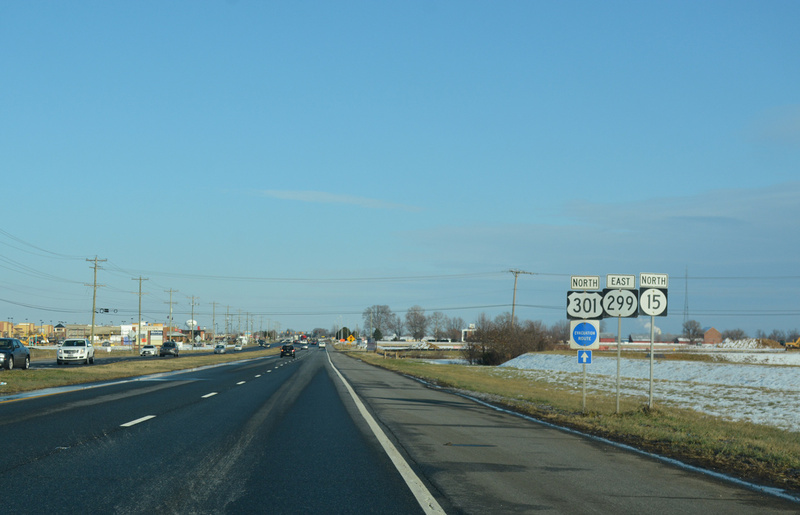 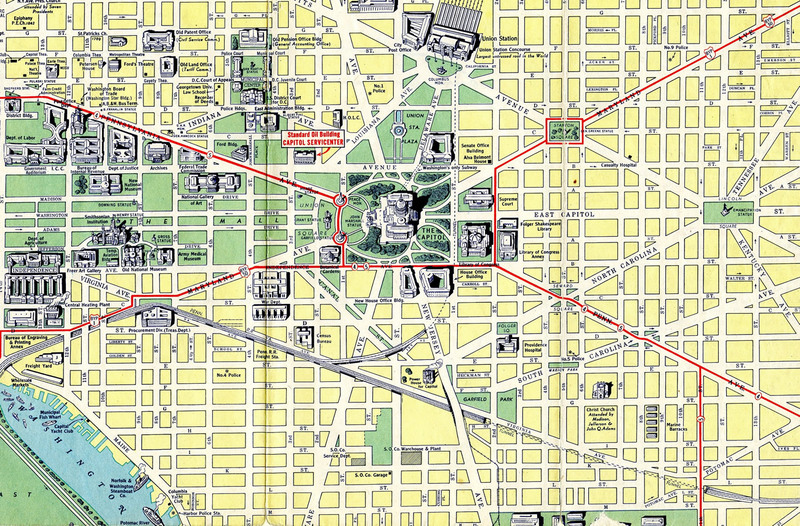 A portion of this route carries both SR 15 and SR 299, while the section between West Main Street (SR 299) and Broad Street (SR 71) carries U.S. 301 alone. 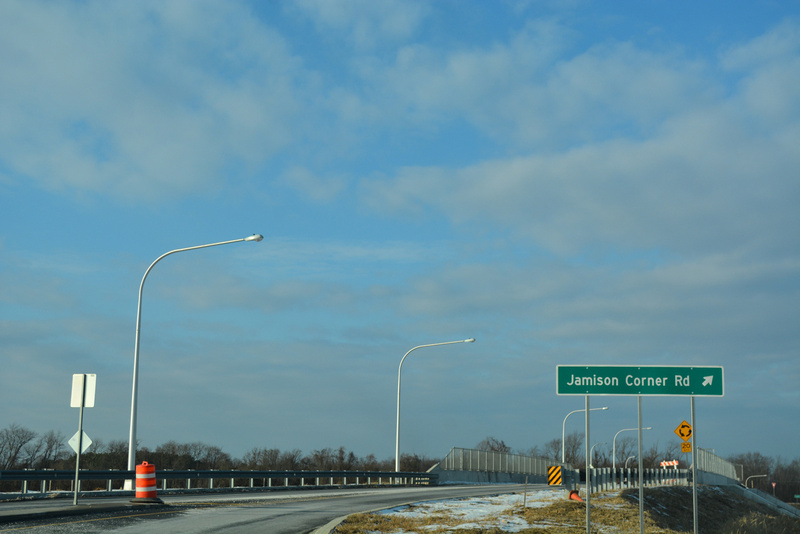 The second stop was at the dumbell interchange that joins Jamison Corner Road with the U.S. 301 toll road. 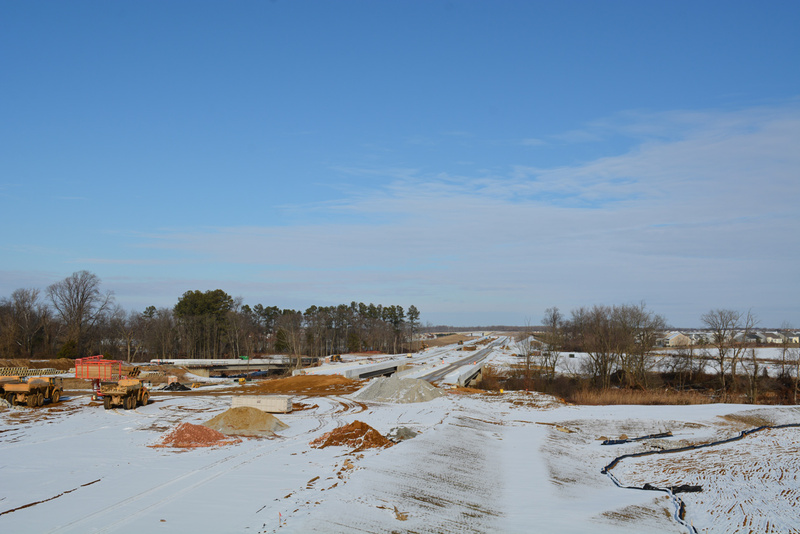 Located west of Biddles Corner, this exchange will be the third along U.S. 301 heading north from Maryland to SR 1. Jamison Corner Road connects with several area subdivisions and SR 896 west of the Bayberry development. 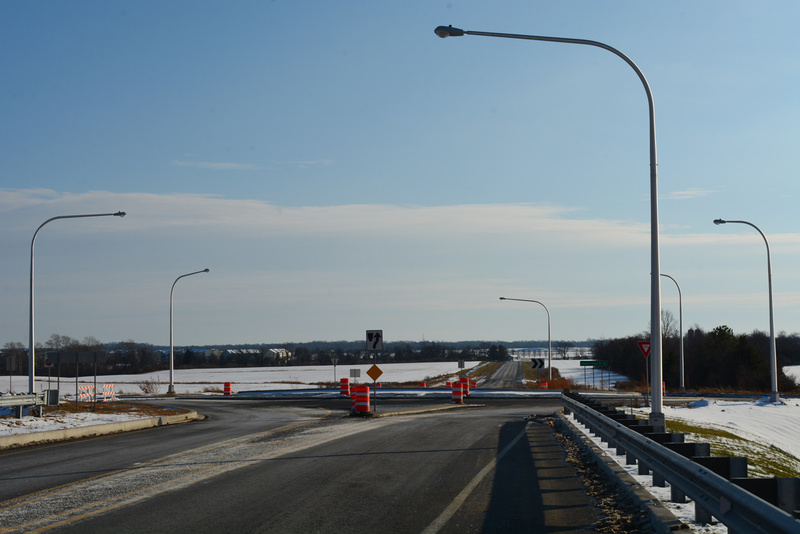 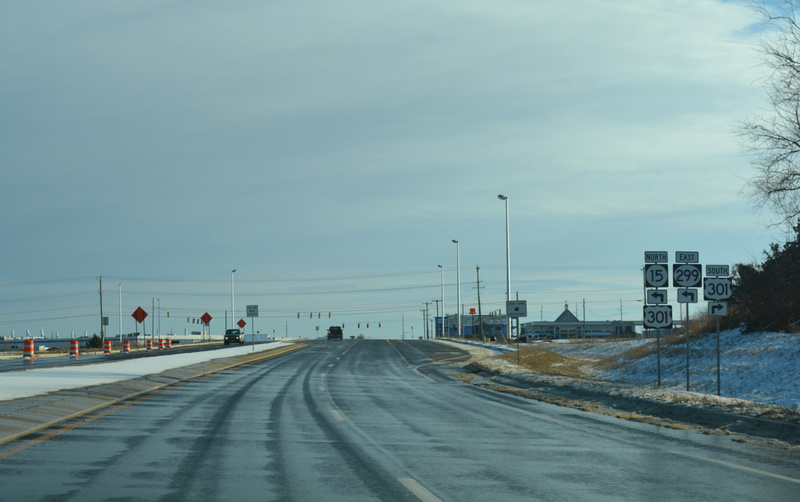 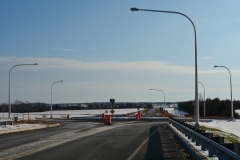 After another cold look at the toll road, we zigzagged eastward to U.S. 13 (Dupont Highway) at South St. Georges, then south to Biddles Corner and northeast to the Reedy Point Bridge. 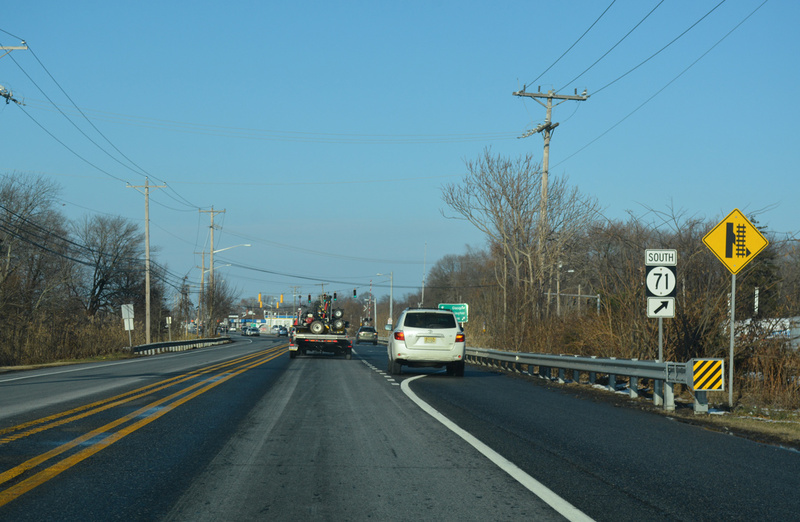 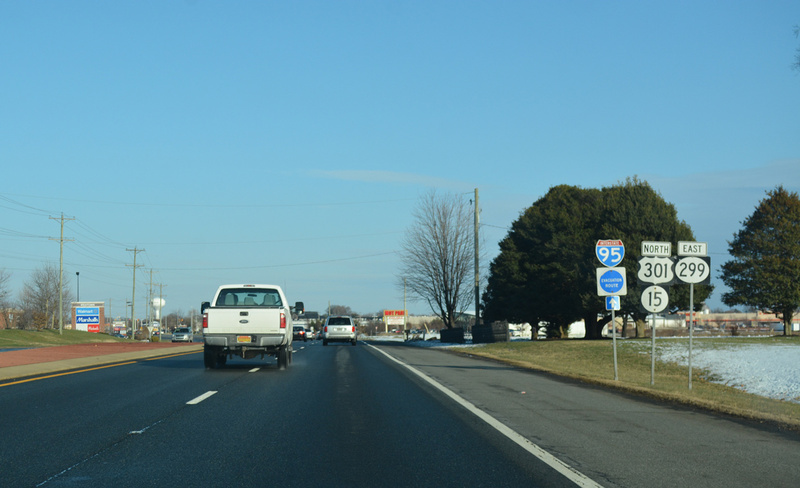 Dupont Highway runs directly along the east side of SR 1 between Boyds Corner and South St. Georges. 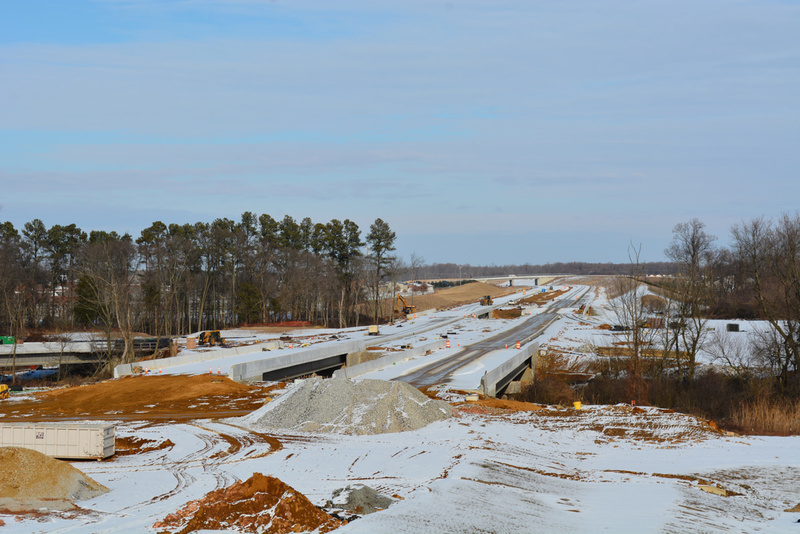 The future wye interchange where U.S. 301 will separate from SR 1 southbound lies just north of the Biddles Corner main line toll plaza along SR 1. 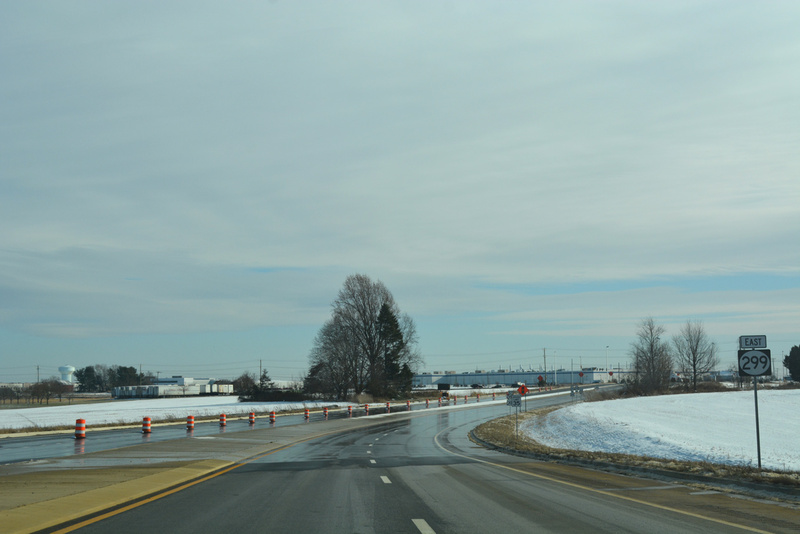 A few of us got separated from one another on the rural roads converging below the Reedy Point Bridge. 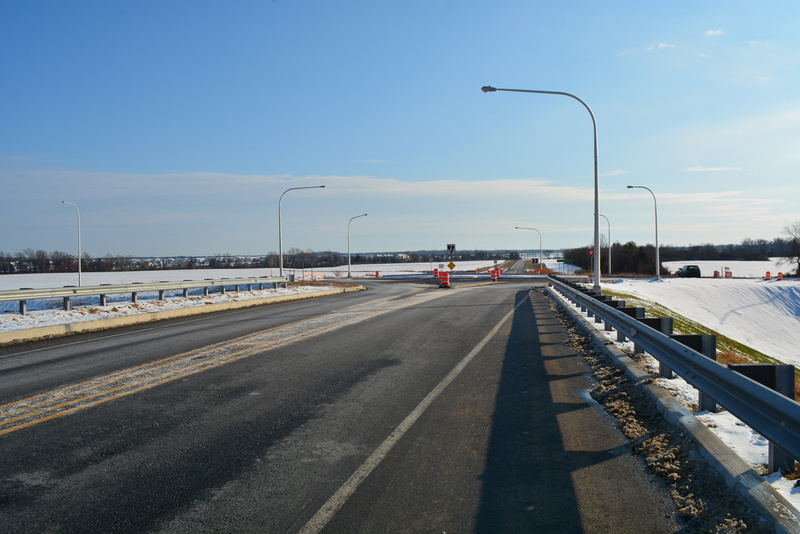 Reconvening at the day’s third stop while trying to avoid stepping in the muddy soil resulting from rapid snow melt, we quickly took in the frigid view the 1968-opened continuous steel thru truss bridge carrying SR 9 across the C & D Canal. 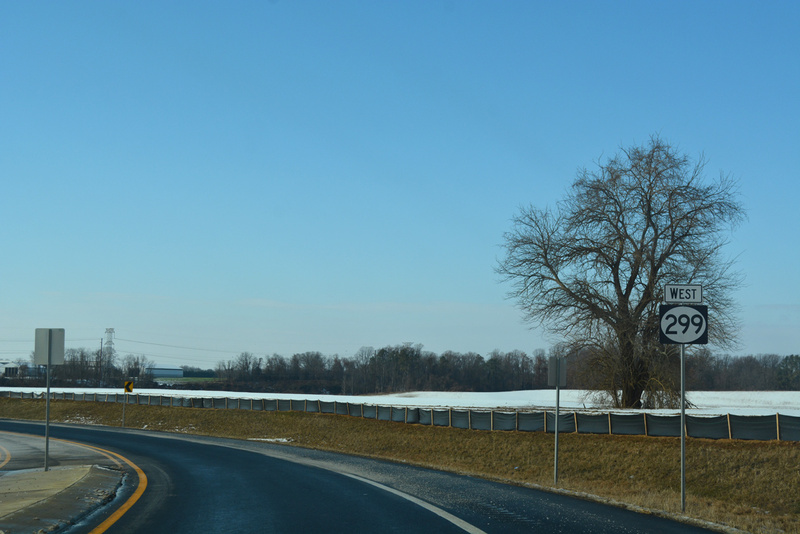 Rounding out the afternoon was a visit to the St. Georges Trailhead along the Mike Castle Trail at north St. Georges. 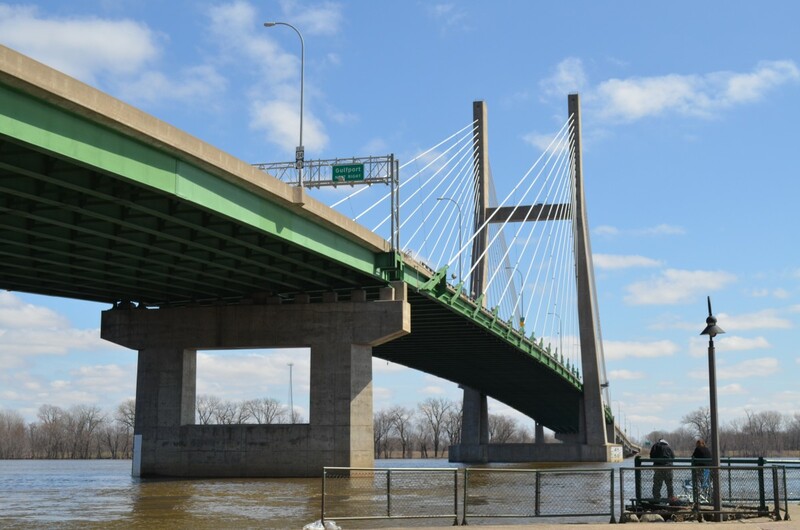 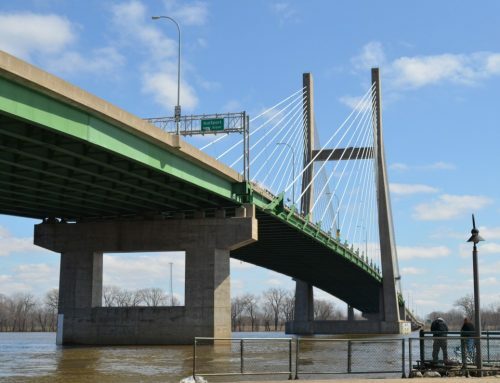 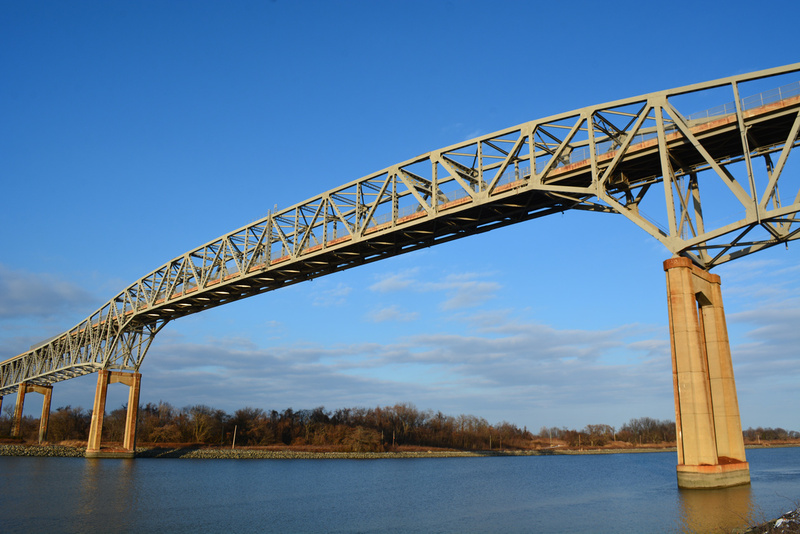 The parking area lies between the William Roth Bridge (SR 1), a cable-stayed span opened in 1995, and St. Georges Bridge (U.S. 13), a steel arch dating to 1942. 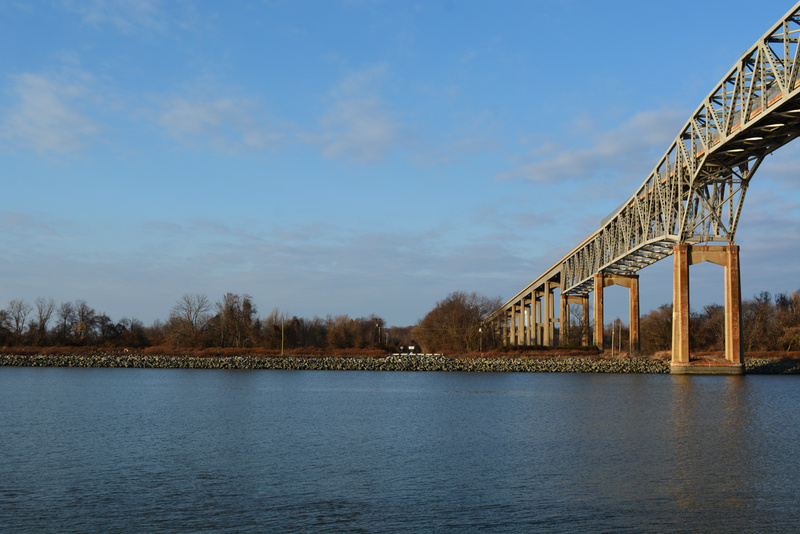 Mike Castle Trail is a shared use path that parallels the north side of the C & D Canal from the Maryland line to Fort Delaware State Park Ferry in Delaware City. 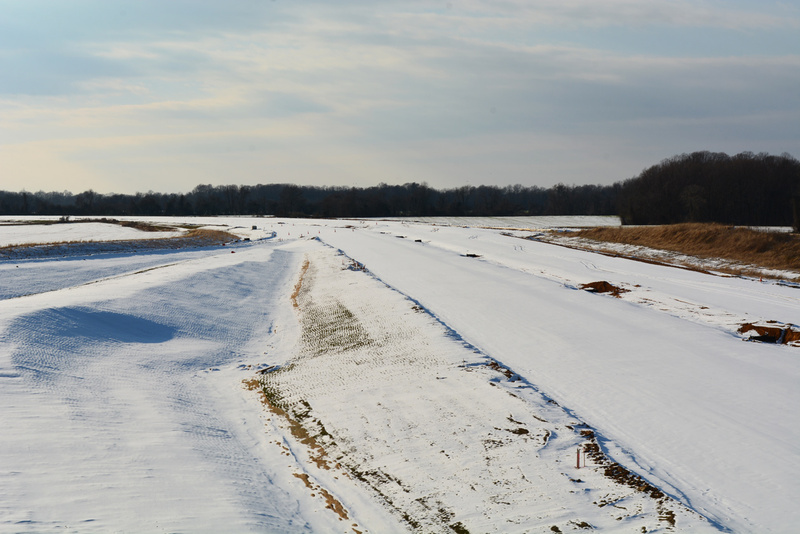 A grand opening ceremony for the recreational trail was held on January 13, 2017.